Washcloths are the perfect cleaning tool…and can even be made by you! We all want our homes to be clean, and there are plenty of commercial products available to help us meet that goal. However, most of them are filled with dangerous chemicals that can cause allergic reactions, skin irritation, respiratory distress, and other health problems. And they pollute the environment. There are many natural alternatives available. 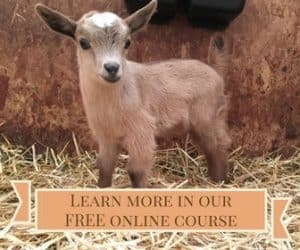 Entire books have been devoted to the topic, providing the reader with dozens of recipes for homemade cleaners. However, making your own cleaners doesn’t need to be complicated, and you don’t need to mix up a different type of cleaner for every surface in your house. Vinegar and baking soda will take care of most of your cleaning needs. Borax and washing soda will take care of the rest. A word about sponges—don’t! Not only are sponges unnecessary in a kitchen, they are a perfect home for germs. Sponges start to stink because bacteria are growing on them. It is possible that your countertop may wind up with more germs on it after wiping with a sponge than it had beforehand. Using antibacterial dish detergent may kill bacteria in your sponge, but it is not necessarily good for your skin when washing because it kills the good bacteria along with the bad, and many experts recommend against using antibacterial cleaners. 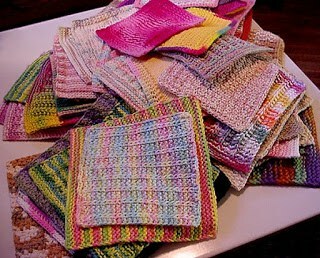 Dishcloths can also pick up bacteria but can be laundered after a day’s use and are a safer alternative for washing dishes and wiping down countertops in the kitchen. Actually, a wet cloth and a little muscle take care of more cleaning tasks than you might expect. Several years ago, my husband asked why we spray cleaner on a mirror before wiping it, and when I didn’t have an answer for him, he decided just to wipe it clean with a wet cloth and dry it with a towel. It worked and the mirror was shiny. For things that are not truly dirty, such as a countertop that has a bit of flour on it, wiping clean with a dishcloth can work just as well as using a commercial cleaner. 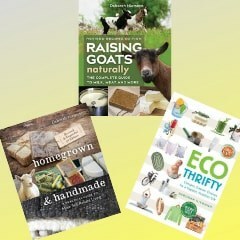 This is an excerpt from Ecothrifty: Cheaper, Greener Choices for a Happier, Healthier Life by Deborah Niemann.